Six years ago today, Milena Del Valle was killed while driving through Boston's Big Dig when a large section of the tunnel's concrete ceiling tile crashed down on the car she was in. In 2007, I worked on a piece for The Next American City about her death, and about the Big Dig. The piece was never published -- indeed, it was still in the process of further editing when I put it down. I stumbled across it the other day and I decided to post it below unchanged from the time I stopped working on it in 2007. In that way, the article stands as a time capsule from a half-decade ago to some of those attitudes about the project. What strikes me most in re-reading it is the ambivalence expressed in it about the value of the Big Dig as a public infrastructure investment. While further reporting would have delved into the interconnection between the almost $15 billion of public money spent and the hoped-for impact on the city of Boston and the region, in 2007 it seems the jury was still out as to whether this had been all just been a colossal waste of time and dollars. Fast-forward to 2012, and it is clear to me now that the catalytic impact of the Big Dig is real and is happening. Moreover, it is in full swing. A short walk around the waterfront in the Seaport District on July 4th weekend -- or a visit to a Boston Society of Architects presentation about the 2.6 million square feet of office, retail and residential space soon to be built -- tells me that this zone is poised to explode with people and with activity. Here is Boston's great expansion, happening in our time before our eyes. I make no particular claim about the writing -- either its style or its flow. With further work, I feel it would have pulled itself together nicely, but it did not receive further work, so it is as it stands -- perhaps imperfect, certainly unfinished. Its substance however is solid, and it hindsight, more emphasis should have been given to potential boom that the Big Dig was supposed to unlock. Therein may lie a follow-on article, better written and up-to-date looking at all that had been made possible by this much debated and much maligned tunnel. As the intervening five plus years have told us, the dreams of a few are becoming the reality of many. The story reiterates the point I have felt for many years now -- timelines are long in urban contexts. To change a city requires a strategic vision, a broad perspective and a deep patience. It simply doesn't happen any other way. On July 10, 2006 support bolts gave way in the multi-billion dollar tunnel snaking through Boston’s downtown, the Big Dig, causing 12 tons of concrete ceiling paneling to fall on a passing automobile, crushing it but leaving the driver’s side untouched. Unfortunately, the passenger, Milena Del Valle, was not so lucky. She was killed instantly. Del Valle had led an unnoticed but not uncommon American life. She had immigrated to the United States five years earlier, and she worked in a small restaurant in a poor part of Boston. Her death, however, was anything but common, and it did not pass unnoticed. Del Valle died because the most expensive public works project in the history of the United States had failed – dramatically, catastrophically, and as it turns out, predictably. The death of this Costa Rican-born woman demanded a sober re-assessment of a multi-billion dollar project, a re-assessment that has etched in fine detail a cautionary tale of large planning and public infrastructure projects in urban areas. This reexamination exposed failures throughout the project, in the engineering, in the management, in the oversight. It forced supporters and critics alike to ask the question: was this $14.6 billion project worth it? But the Big Dig has not turned out to be the bang-up economic development plan that its creators had hoped, and whether it can or should be the source of any new millennial optimism for the city of Boston remains to be seen. It comes as no surprise that the Big Dig was decades in the making. As early as 1929, traffic engineers in Boston had dreamed of a roadway through downtown to relieve the traffic congestion by carrying the bulk of through-traffic efficiently through the city. Bringing this idea to fruition would leave an indelible mark on the city it was supposed to save. 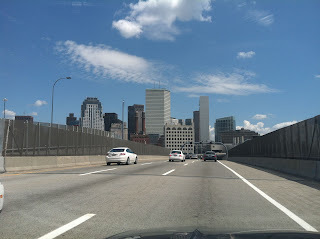 By 1948 when Commissioner William F. Callahan, head of the Massachusetts Department of Public Works, called for a series of urban expressways Boston, like many major metropolitan areas, was witness to the full-fledged arrival of post-war automobile. The city was New England’s regional transportation hub, air travel had supplanted sea travel as the main locus of trade, and local and regional traffic were forced to intermingle on the dense streets of the city. Callahan sought a bold response to a burgeoning problem. Callahan never got beyond the first piece of his road building puzzle, the elevated Central Artery. Plans for reengineering the city evaporated. In the 1950s, when protests were relatively rare, the Central Artery was an exception. The huge amount of destruction required for its completion united neighborhoods against further building. In 1954, the half-built roadway was stopped dead, left dangling in midair, while city and state officials struggled to find a resolution to the opposition. It was finally decided that the road should disappear underground, and so, in the southern end of downtown Boston, the Central Artery dives down into a tunnel. By 1972, virtually all major new roadbuilding projects in Boston were ended. Newly elected Republican governor Frank Sargent had agreed to review road project during his campaign for the governorship in 1968, and once elected, the review, officially known as the Boston Transportation Planning Review (BTPR) decided to end all but two of them. The two were nevertheless significant, in that they lay the foundations for the future Big Dig. Sargent agreed to continue looking at a special access road to Logan Airport, reserved for buses, truck and emergency vehicles, designed to skirt the residential neighborhoods surrounding the airport in East Boston. The second was to bury they existing elevated Central Artery in a tunnel. Fred Salvucci played a critical role in the ultimate implementation of the idea to bury the roadway, first as transportation adviser to Boston mayor Kevin White in the early 1970s, then as Michael Dukakis’s transportation secretary from 1974 to 1978, and then again from 1982 to 1990, once Dukakis was reelected after his defeat to fellow Democrat Ed King in 1978. But in one of the happenstances of history, while working for Mayor White, Salvucci used to walk underneath the Central Artery every day on his way to lunch in Boston’s North End. During this lunchtime walk, he saw that it would actually be possible to bury the roadway. Salvucci’s commitment to project grew during his years working for Michael Dukakis. With Dukakis’s re-election in 1982, Salvucci concluded that it made no sense to push a narrowly conceptualized plan over the many hurdles it would face. Salvucci had learned, as Chicago planner Daniel Burnham had urged at the start of the 20th century, that it is the large plans that move men’s souls, and a vision not sufficiently large will not garner the support needed to turn it into reality. Salvucci decided that the original two surviving road pieces of the 1972 Sargent plan had to be combined into a single encompassing vision – a new road had to be built to Logan Airport, as well as a new tunnel to bury the “brutally ugly” Central Artery. Funding such a project would be a major challenge. In the 1970s, when this project was first brought to Washington for consideration, the Federal Highway Administration refused to fund any improvement to the elevated roadway, claiming that there was not a sufficient transportation rationale for funding. The FHWA view this as an urban beautification project. Of course, Salvucci and other strong supporters had every incentive to get this funded under the federal highway program. If they were successful, the states would have to pay only 10 cents on every dollar spent on the work. The remaining 90 cents would come from Washington. With help from the strong Massachusetts delegation in Congress led by Speaker of the House Tip O’Neill, obstacles were overcome. In the early 1980s when the Big Dig got approval to be funded under this formula, the cost to Massachusetts seemed minimal and the decision to press forward was an easy one. The impetus was doubly strong since the state had undertaken a series of road projects in the early 1950s, before Eisenhower’s creation of the Interstate system and the money associated with it. The Sumner and Callahan Tunnels as well as the Central Artery itself were paid by state funds only. With the time of the arrival of the Republican Congress in the early 1990s, the federal spigot of funds was shut, and left Massachusetts in the precarious position of finishing a multi-billion dollar project without its initial investment partner, the federal government. Harvard’s Luberoff maintains that if you told people up front how much they would be paying for the project, and what they’d be getting in return, they’d be much more reluctant to foot the bill. But with the Big Dig, that never happened. For many, this was not news. Earlier analysis foresaw the problems that would later emerge on the project. Thomas Hughes, author of Rescuing Prometheus, about the challenges of large-scale engineering endeavors, described the failures at the Big Dig as predictable. Engineers are problem solvers, while managers are paid to manage two factors, time and money. According to Hughes, when engineering and management come into conflict, in most cases managers override engineers, citing the inviolate principle that the public’s money is at stake. Harvard’s David Luberoff came to the same conclusion. He wrote in an op-ed in the Boston Globe as early as August 2006, only one month after the accident, that cost pressures were to blame for the ceiling collapse. Luberoff had seen the pattern of management failures, and the mounting public pressure on the project, and drew the conclusion that the combination of factors led to the catastrophic failure. Subsequent reporting proved Luberoff and Hughes right. While Hughes and Luberoff were correct in their analysis, their observations came late in the game. By the time of Del Valle’s death, the tunnel had been completed, and the vast majority of the $14.6 billion relegated to this project had already been spent. There was, by this time, little to do but fix the problem and reopen the tunnel. Milena Del Valle’s death did not mark the end of the project. After extensive review, the bolt system that failed has been fully replaced. The cost: $34 million. The roadway that shut down has recently reopened. Meanwhile, the unwritten aspect of the Big Dig, the huge associated impact is beginning to take shape. It needs to be assessed whether this is simply an urban beautification project, or whether this is an economic development project. The associated transit investments along with the land development pieces are beginning to show fruition, with large tract of South Boston now opening up for development. The new Institute for Contemporary Art just opened, a landmark building on waterfront property and the first art museum to be built in Boston in a century. This was part of the Big Dig mitigation accords, a series of commitments in transit, in open space creation, in public building that came as a result of the huge impact this multi-year project was going to have on the city and its neighbors. The ICA sits lonely on its point of land, but is one of the first “teeth” to grow into this otherwise empty mouth. It’s now easy to get to the airport through the Silver Line, a dedicated bus rapid transit structure. The new governor, Deval Patrick, just had his inaugural party at the newly opened convention center, accessible by the Silver Line, recently developed in South Boston. Boston’s reason for pushing the project were multi-pronged, but unambiguous. A fundamental rationale for the project was economic development. In particular, land development would be the outcome of the effort. South Boston, the area immediately adjacent to the downtown was planned to benefit from this huge project, an expansion of the historic core of downtown Boston. In this view, the ability to develop new projects is key to a city’s long-term viability. The lack of new development is akin to economic stagnation that is synonymous with decline. In Boston, large amounts of public investment were organized to prepare the city for growth. A number of public projects were part of this vision, largest among them, no doubt, is the Central Artery/Tunnel, but also including the creation of the Silver Line, the first new piece of the transit system in a century. These investments were designed to spur growth of this area through private investment. It has been argued that large scale public investment of this sort is not an end in itself. Rather, its purpose is to be a catalyst for private investment in areas. It took a long time to get here. But these public investments do not happen in the abstract. They happen in the context of a state where population growth is stagnant and the population is aging. Under what conditions is it justified to spend that much federal money on a project of this size? What can be the rationale for such an endeavor? Are projects of this size back in fashion, as is the case in New York City, still reeling from the impact that Robert Moses had on the city for so long. Indeed, the New York Times recently reported on three separate exhibits to be dedicated solely to the role of Moses in city building. Of American cities, none provides a better current example of this strategy than New York City, which because of proximity and shared history offers a telling counterpoint to Boston. New York is poised before a major building boom, which some liken to the work that happened in the first decades of the 20th century under master builder Robert Moses. New York mayor Michael Bloomberg has tasked his economic development director Dan Doctoroff with seeing through numerous projects, including a massive and controversial Atlantic Yards proposal. The scope of this development hearkens back to the early years of the urban renewal program and is seen as a direct refutation of the timidity that consumed the city with the collapse of that federal program. In New York, a new boulevard is being considered that would run a eight block stretch from 34th to 42nd Streets between 10th and 11th Avenues, and would expand the mid-Manhattan business core. Public monies will be required for an extension of the Number 7 subway, as well as the displacement of over 200 businesses and 100 residents. While these public dollars will be spent to lay the groundwork for the extension of Manhattan’s central business district, and the anticipated hotels, high-rise offices and residential development will all happen through private financing. Whether New York’s projected future represents a trend toward larger building of the sort that Robert Moses would have recognized is not clear, but the Big Dig indicates that a new era may be here. What is unusual about the Big Dig is that is was such a technically ferocious endeavor with its attendant costs. But the rationale, like most major urban projects, is predictable. Downtowns need to grow to survive. Status quo really means degeneration. American interest in cities has continued to develop throughout the 1990s, as evidenced by runaway housing costs in major metropolitan areas, and Boston is no exception. But the competitive advantage that cities used to hold even 50 years ago, steadily slipped through the second half of the 20th century as exurban centers such as Tysons Corner in Virginia, Silicon Valley outside San Francisco and the Route 128 corridor in Boston developed. The developing car culture, and its related road construction, birthed these new centers of the new economy. It therefore makes sense that Boston economic redevelopment scheme would focus on managing the automobile within the most congested part of the city. What did the Big Dig achieve, what did it leave undone? What Murray found at the other end of the process, now 20 years after the original EIR, with the tunnel basically complete, leaves him disappointed. From its original rationale as an economic generator for the city (through the creation of the Third Harbor Tunnel, that would link up South Boston with Logan Airport) and its role as a mechanism to make traffic move more efficiently through the city of Boston by burying the old north-south Central Artery, to its improvement of the downtown through the creation of park space in the center of the city. In Murray’s view, the economic boost planned for the South Boston waterfront has been compromised “by agency territorialism and the lack of a coherent vision”, maintaining effective planning for economic development was hindered by the inability of major stakeholders to communicate effectively with each other. In particular, he cites the Boston Redevelopment Authority (BRA) for its inability to get in front the planning process, and accuses it instead of playing catch up to other major stakeholder, including the Massachusetts Turnpike Authority and the Massachusetts Bay Transit Authority. Furthermore, he finds in all this confusion between urban design and urban planning, a crucial distinction that can lead to odd or awkward situations. Urban design is fundamentally about creating the “urban realm” and the design techniques that allow for the creation of public space. Urban planning, in contrast, is about the argument that underlies the decisions made. It can and should be steeped in research and ought to ask both practical questions (what is the projected population for a region) as well as theoretical questions (what ought the role of the automobile be in a 21st century American city). In Murray’s view, either aspect of this was largely lacking in the Big Dig. At the time of Milena Del Valle’s death, Murray thought a further casualty was in the offing. Public confidence in bid ideas was likely to suffer. Del Valle’s death will more likely be a temporary blip of discomfort for the motoring public. More worrisome to the city however, will be whether investor dollars walk away from this grand offering. If an early development proposal for South Boston is any indication, there is still work to do. Fan Pier is an old industrial section of the South Boston waterfront, so named because of the shape of the area formed by a series of railroad tracks that dead-ended there. Fan Pier was to be developed on numerous occasions, with the City of Boston eager to see development happen there. But developers were backing away from it, not sure if they could make their developments in a way that would be economical for them and still serve the needs that the city felt ought to be a part of any deal. This happened twice – once in the 1980s and then again in the 1990s. Indeed the property is still not developed. A trip to Boston’s North End today can lead one to ask when this will happen. The North End is a beautiful neighborhood waiting to be reborn. Sal’s Lunch, a little diner, is a small part of that world, literally unchanged since G.I.s came back from Germany and Japan. On a recent day, two ladies were in there talking. One of them, a small waiflike woman was there with her son and granddaughter. Her small, cat-like face accentuated her pensive, sad brown eyes. While she made a grilled cheese sandwich, she explained that she was one of the owners of the place, and had been there since the late 1960s. Her companion, slightly overweight and sporting a huge shock of jet black hair that looked like it was inflated on the top of her head, was born in the North End, not far from Sal’s Lunch. Her father, one of the returning G.I.s used to eat there in the late 1940s. As they discussed the project they both agreed that it had taken too long and that it has cost too much. They wondered who was going to trust it now that someone Milena Del Valle had been killed? Two cartoons about Britain after the war. Boris Johnson Wins The Gold! More Michael Herr. More Vietnam. On call. On the phone.